So this weeks Daily Post Photo Challenge is ‘Ephemeral‘ which means “lasting for a very short time”. I would actually say that a lot of my photography is about capturing that split second moment, whether it is when the sun bursts through clouds, or when that beautiful rainbow appears; either instance if you look away you’ve probably missed it. This cloud looks like a shark that is going to swallow the church below it. 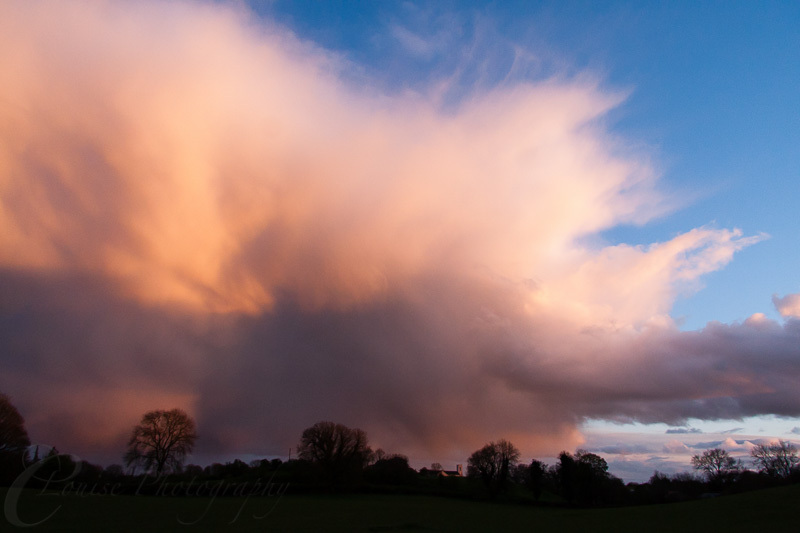 The following image was as the sun was starting to set and menacing clouds were starting to roll in. They looked like they had just exploded from the church. 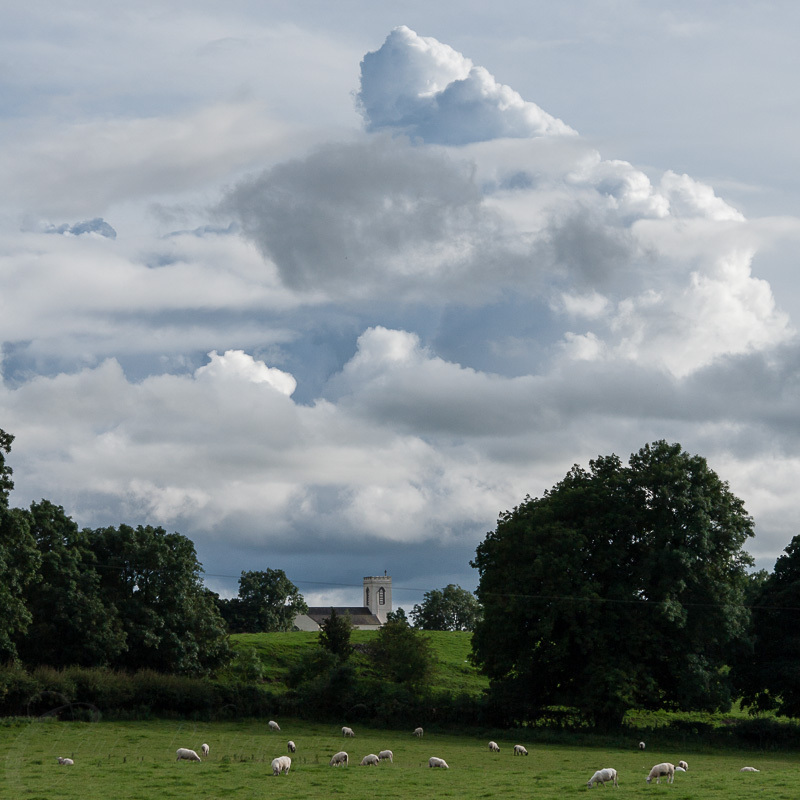 The next two photos were of a huge storm cloud that appeared; so to capture the sheer size of what was developing before me I photographed it at different angles. The shapes reminded me of faces looking down. 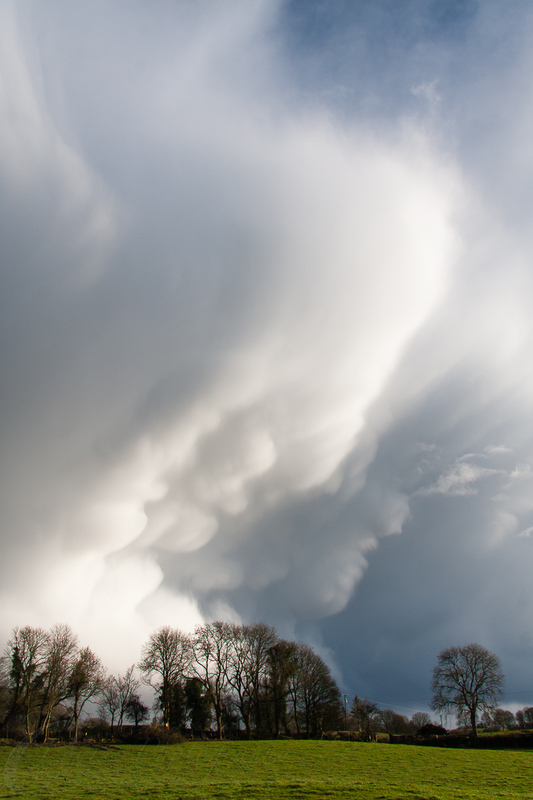 Clouds come and go, but you can guarantee each shape only lasts for a short time before it morphs into something new. Do you ever pass time with a little sky watching? Thankyou for spending time to read my post, have a wonderful day and please come back soon. 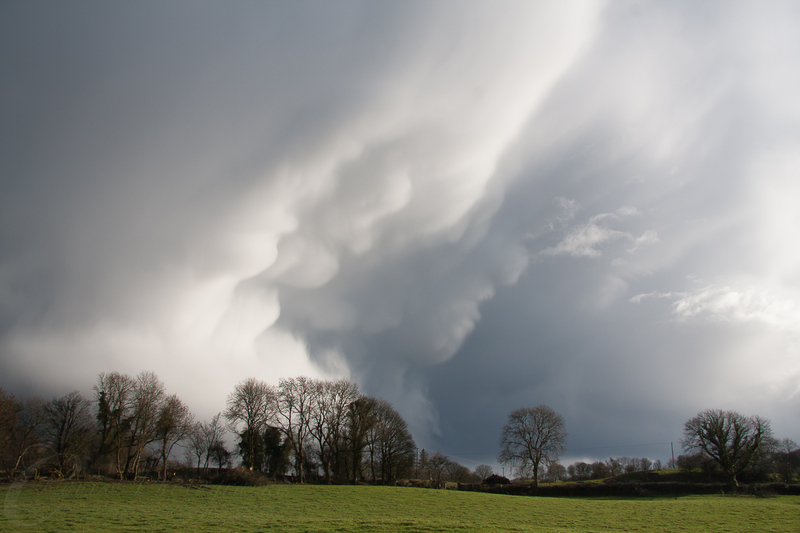 Posted in County Meath, Ireland and tagged Clouds, Ireland, Meath, Storms. Bookmark the permalink. Great answer to the prompt! Terrific choices – love the shark especially!! Incredible images. I like the first one of the pastoral scene. But all of them are very nice. Great to see you doing such lovely work. Beautiful pink clouds! Well done!